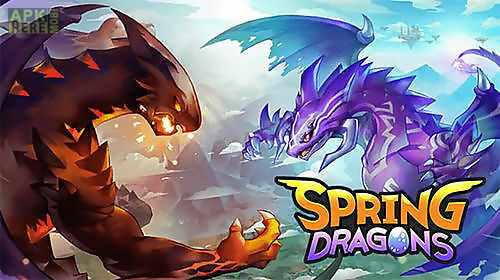 Spring dragons game for android description: Take a little dragon along a long track consisting of the islands floating in the sky. Tap the screen to make the dragon jump from one island onto another. Start a merry journey across magic locations of the world of this android game. A cute dragon will be your faithful campanion in all adventures. 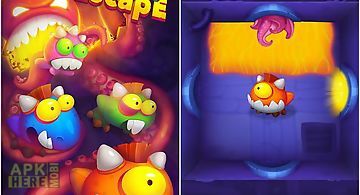 Watch the run of a dragon and tap the screen to make the dragon jump and dodge obstacles. Be ready to face various enemies on the way. Buy munitions and power ups for the dragon. Set records in endless mode. Help a cute bunny deliver letters. 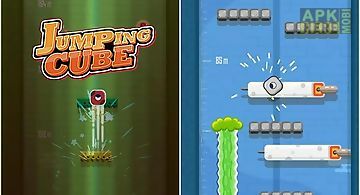 Guide the bunny through difficult levels overcoming traps and obstacles on the way. 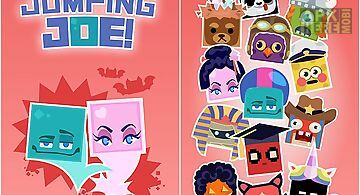 The goal of this game for android is..
Help a funny cubic character get out of the sewage. Tap the screen at the best moment to make the hero jump higher and higher. 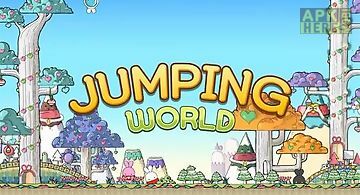 The idea of this android gam..
Jump jump and dont stop jumping. You control a small ball moving forwards jumping from one platform to the other. 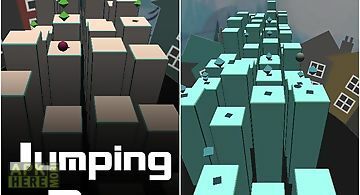 Show excellent reflexes on an endless tra..
Control the jumps of a cubic character tapping the screen in the right moment. Help the hero get maximum high. 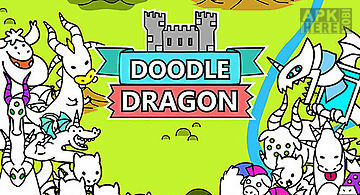 Start a journey to the new heights together ..
Help a cute dragon escape from danger. Guide the hero through a set of interconnected rooms in a dungeon. Show the dexterity of your finger and reaction sp.. Explode a variety of gems filling the screen. Connect 3 and more of them with a line. 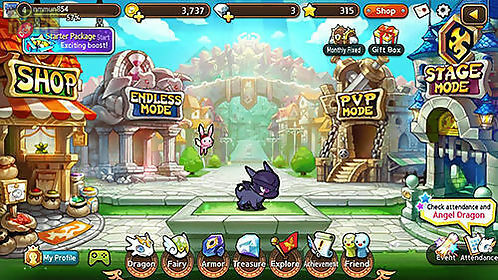 Travel the fairyland in this game for android. 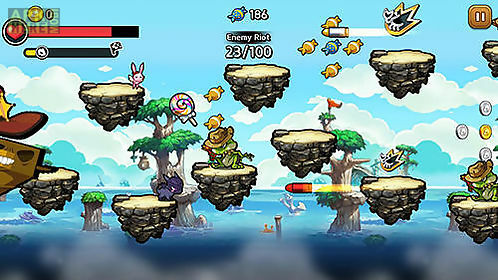 Feed the little dragon..
Fight crowds of monsters headed by strong bosses. Use the power of your dragons to destroy enemies. 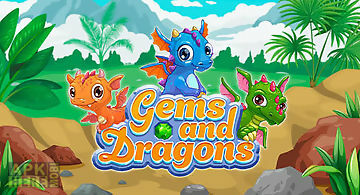 Become the master of dragons in this exciting game for ..
Move colorful gems filling the screen. Swap them and match 3 or more of them. Go traveling with a small dragon. Blow up rows of same gems to get points and.. 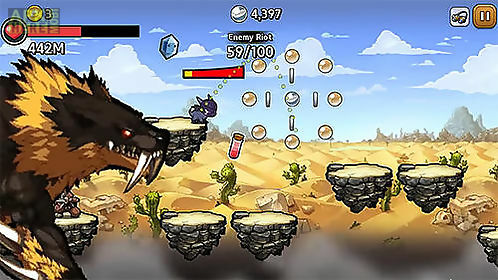 Tap the screen maximum frequent to defeat fire breathing dragons and other powerful monsters. 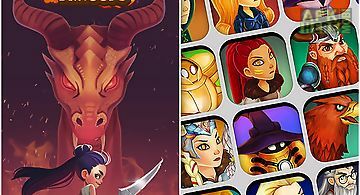 Become the best dragon fighter in this android game. 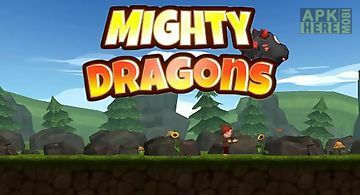 Start yo..
Take command over the army of funny dragons and defend dragonia kingdom from the attacks of evil dragons and other insidious enemies. 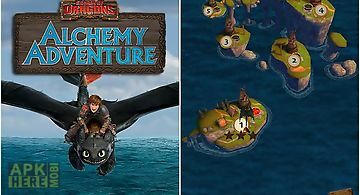 Become a real king of..
School of dragons: alchemy adven.. 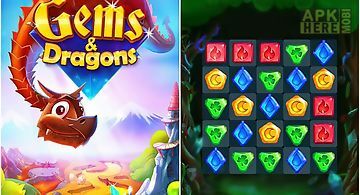 Learn everything about different chemical elements together with cute dragons the heroes of a popular cartoon. Improve your knowledge of chemistry in this ..
Help rock musicians get to the stage. 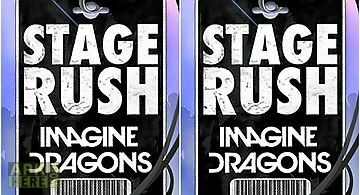 Control any member of the band and go through difficult tracks. In this game for android youll meet members of the po..